Michael Maier was a 17th-century alchemist and physician to the court of Emperor Rudolf II in Prague. 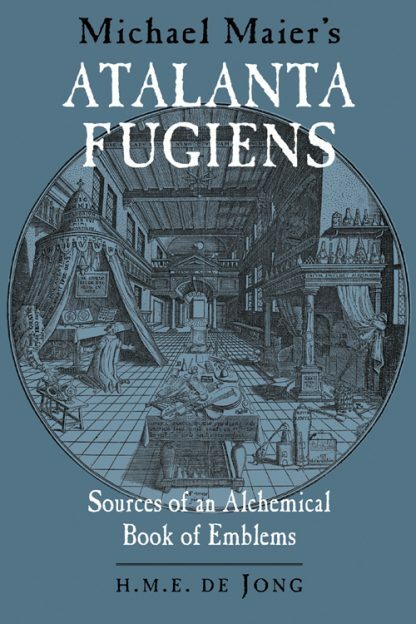 Between 1614 and his death in 1622, Maier published a number of alchemical works, of which Atalanta Fugiens was undoubtedly the richest and most important. First published in 1617, it is one of the finest alchemical emblem books and unique in its own right. Michael Maier's work is richly illustrated with original prints by M. Merian; each of the 50 emblems presented consists of a motto, print, epigram, and a three-part musical setting of the epigram, followed by an exposition of its meaning. In the new publication of this important 17th-century work, Dr. H. M. E. de Jong translates the mottos and epigrams of the original 50 emblems and provides a summary of both Maier's exposition and a commentary on each emblem. She discuses the meaning and importance of the Atalanta Fugiens, the sources Maier used, and the mutual relationships between the emblems. She also includes an additional 30 alchemical engravings that explain her research, including several hard-to-find foldouts reproduced here in this volume. Dr. H.M.E. de Jong was a student of art history. Her interest in iconology led her to the study of alchemical emblems. As she explored the field of alchemy and its sources in antiquity, she delved into the different aspects of alchemy, including the influence of theology, its deeply spiritual sources, and its psychological implications. Her original dissertation on alchemy led to the publication of this translation of her research into the Atalanta Fugiens. She currently resides in The Netherlands.